PK2605. Conceived by GOMZ constructor N.I.Panchenko in 1961. 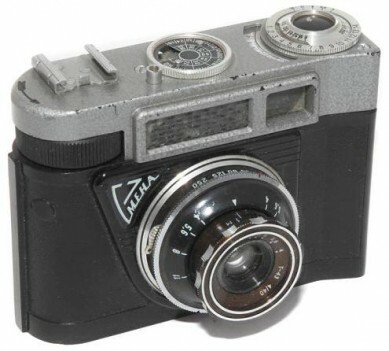 One of 2 early LOMO attempts to create a modernized camera with selenium exposure meter (the prototype of Voskhod camera was released in 1962). 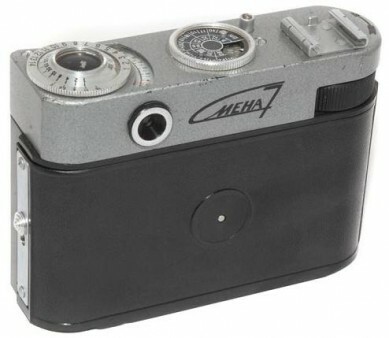 Never produced in series, though GOMZ have planned to release at least 700.000 copies of Smena-7 camera. Quantity: unknown, probably up to five copies. At least 2 real cameras are known to exist in collections. Camera from Claire&Alain Berry (France) collection. PK2605 - Smena-7 prototype camera.